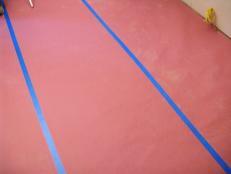 Determine which direction you want the flooring to run. Usually flooring is installed so it runs the length of the room for aesthetic purposes, but it depends on personal taste. 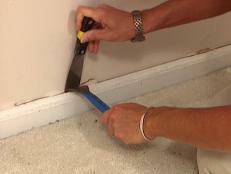 Remove any baseboards as the flooring needs to be installed close to the wall. 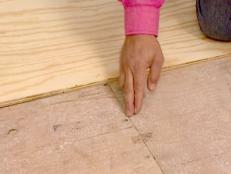 Place the underlayment on top of the existing floor or the subfloor, as this will help reduce moisture and squeaking. 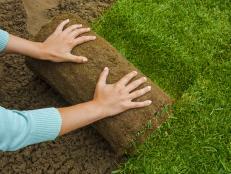 Staple the underlayment into place so it won’t shift. Start at the corner of the room and place the first board with the tongue facing toward the wall. 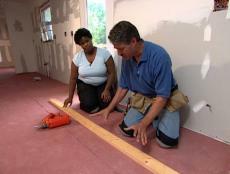 Be sure to leave a gap of about half-an-inch so the floor has room to expand and contract. Place the second board next to the first so the shorter ends touch. Pull the second piece as close as possible. 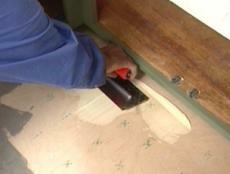 For a tight fit, grab a small scrap piece of the flooring and fit it into the grooves of the last piece. 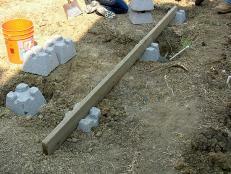 Place a block on the end of the scrap piece and knock it with a mallet a few times until it locks into place. 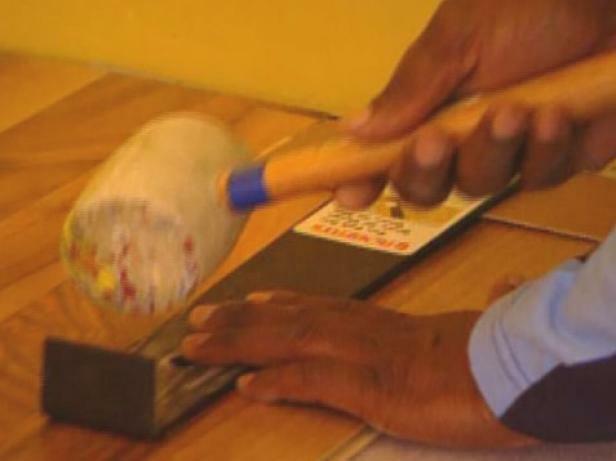 Do not try to knock the wood directly, as it may damage the edge. If a piece is damaged, save it to use later as an end piece. 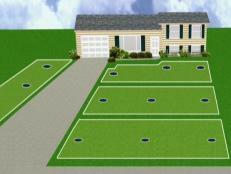 Continue laying down the flooring in this manner. When you get to the end next to a wall, mark with a pencil how much flooring remains and cut down the piece to the appropriate size. 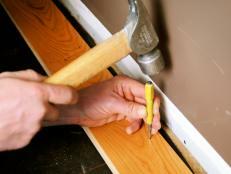 In order to lock the end piece into place, try using a smaller scrap piece of flooring. 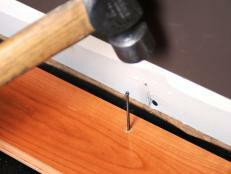 If there isn’t enough room in the gap to fit a tool, place a pry bar and pull it into place with the mallet. Continue laying down each floorboard until the room is complete. 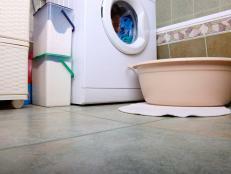 For any irregular corners, try cutting the flooring with a jigsaw. It’s best not to have the seams line up, so stagger the rows. Many types of flooring come pre-finished, but if you choose an unfinished floor, be sure to sand it down, stain it and finish it. Finally, reinstall the baseboards when all the flooring is down. 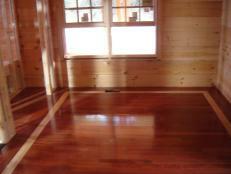 Learn how to install cherry hardwood flooring in a master bedroom. 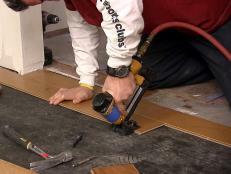 Get step-by-step instruction on how to install hardwood floors in any room. Engineered wood floors are easy to install and resistant to moisture, making them a great alternative to traditional hardwood floors. Use these step-by-step instructions to install engineered hardwood floors in your home. 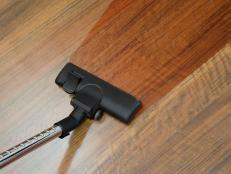 With a few careful preparations, elbow grease and a weekend, you can have beautiful new floors. 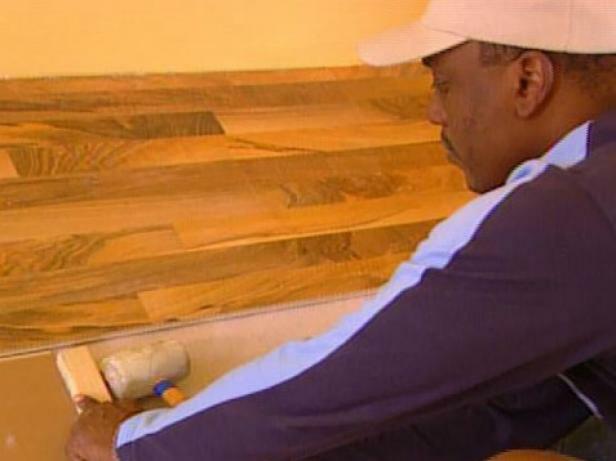 Easy-to-follow, step-by-step instructions show DIYers how to install a floating wood plank floor for a dazzling new look.